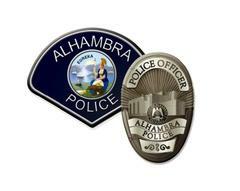 The Alhambra Police Department Is Looking for You to join the APD Community Academy. The Community Academy classes will be taught in English and will start on January 9, 2019, for six weeks (January 9 – February 13, 2019). The Community Academy is taught on Wednesday evenings (6-9 PM) and applications are due December 10, 2018. Each week we have different presentations on various topics like Patrol Operations, 9-1-1 and Police Communication System, Homeless Outreach and Engagement Policing, Police Dog Program and much more. One class will be on Self Defense Training and you will be invited to participate on a Ride-A-Long. This is a very informative and fun academy. Please email or call the Crime Prevention Office for more information.